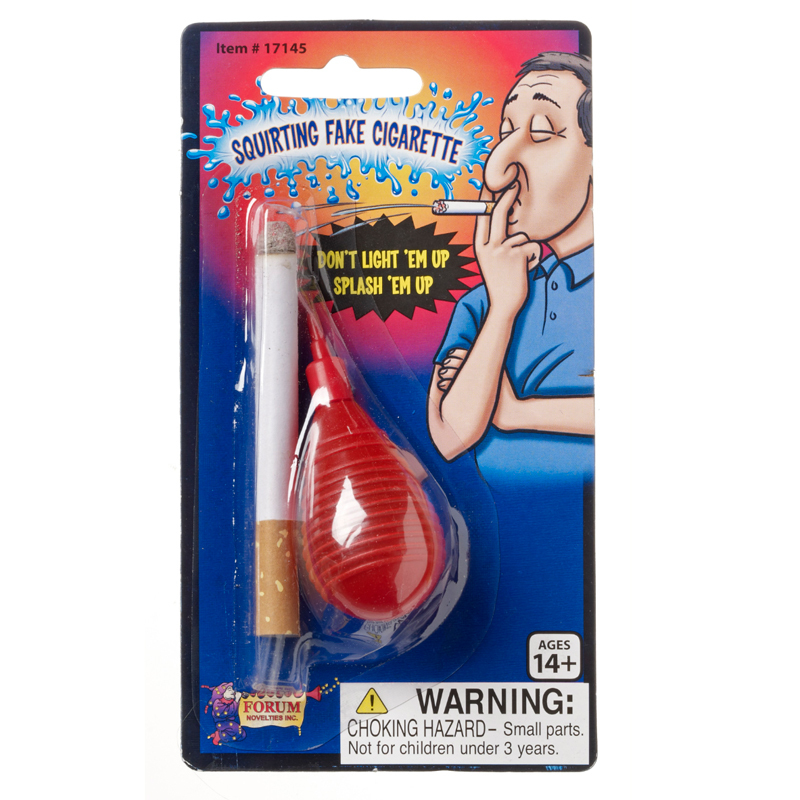 This Cigarette is even more obnoxious than a real one. Instead of smoke in your face, you'll get a splash of water! Hold it as you would a regular Cigarette and the secret water pump hides in your palm. Simply squeeze the pump and you'll be soaking an unsuspecting victim. It may just be the safest Cigarette in the world, safe but not exactly something that's gonna make other people too happy.